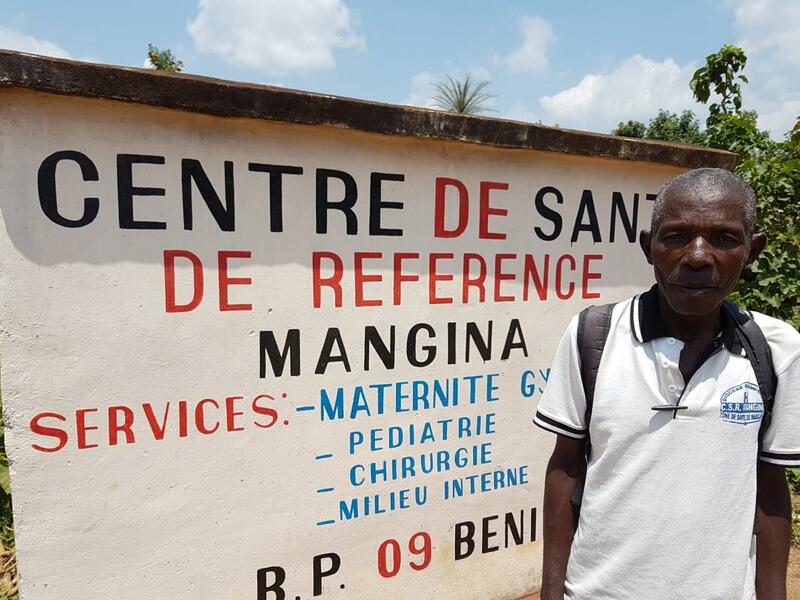 Mangina (North Kivu), 17 August 2018 - "I was under a lot of stress and experienced insomnia mixed with nightmare all night," says Sister Darlène Mwasi, a registered nurse at the Mangina referral health centre, which is more than 30 kilometres southwest of the town of Beni in North Kivu. As soon as the official confirmation on 1 August 2018, that the deadly Ebola virus had indeed arrived in Mangina, "I had tears in my eyes; it was a shock I had never experienced before," added the nurse. Recorded as the tenth outbreak of the Ebola virus, Zaire strain, affecting the Democratic Republic of Congo in less than a week after the declaration of the end of the one that had affected the Equateur Province since May 2018, this highly deadly disease has appeared in a volatile and unpredictable zone due to the presence of armed groups. The analysis of the first six samples, four of which tested positive at the INRB (Institut national de recherche biomédicale) national laboratory brought fear to everyone : the east of the DRC was in turn affected. The nurse seemed to lack words to describe a rather unusual health emergency, in her eyes, that occurs at the health centre she is working. The first suspected cases were admitted at the end of July 2018, with the patients showing signs of intense and sudden fever, accompanied by chills, diarrhoea, vomiting or extremely intense fatigue. “At first we thought it was severe malaria, as we used to have here before. And, as you know, our health workers were the first to receive and examine the affected patients without personal protective equipment,” explains Sister Darlène Mwasi. Since then, "we now have eight of our nurses infected; it's really sad," she adds. The occurrence of Ebola in the area has created a wave of concern among the population. 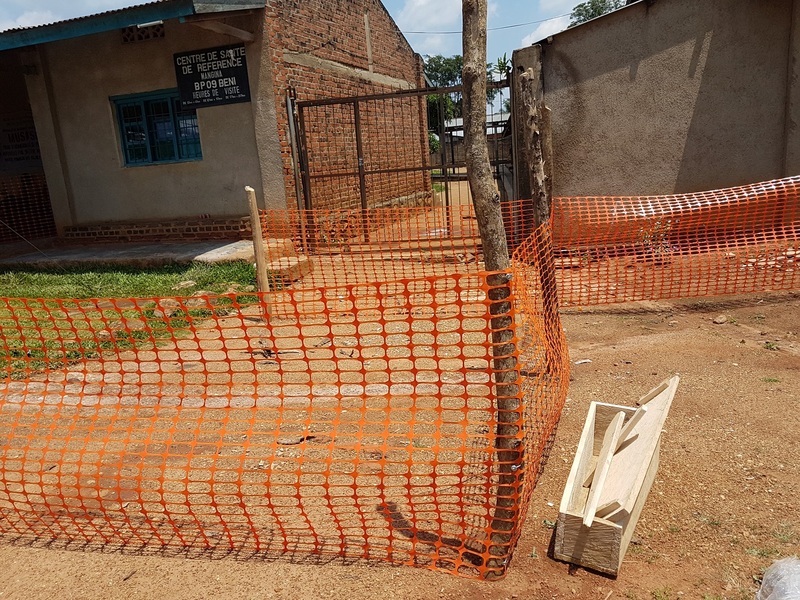 “I have seen many people die here since the disease was reported, and we were told that these people had died of Ebola,” says Athanase Ndungo Bonané, 67, a guard at the Mangina referral health centre for over 14 years. He watches over these hospitals day and night and regularly sees all kinds of patients arriving for basic health care. “Suddenly, I had a painful feeling that we were all going to die here,” he confides in Kiswahili, one of the four most spoken official languages in all of eastern Democratic Republic of Congo. From the very first hours of the response, the key components were strengthened: local coordination in Mangina with the presence of numerous experts, epidemiological surveillance on several places between North Kivu and Ituri, installation of hand washing devices using chlorine and temperature monitoring at the entrance to buildings and at priority entry and exit points, active case investigation, contacts tracing, sensitization of the population, case management, etc. “In seeing these quick and effective health interventions, especially the Ebola vaccination, my friends in the neighbourhood and I have been relieved,'' said the energetic guard at the health centre. According to preliminary investigations conducted by the competent health authorities, "at least 75 staff of this health establishment in Mangina have been in direct or indirect contact with confirmed cases of Ebola, without protection, and are allowed to rest at home to be better monitored daily for 21 days, the incubation period," said Dr. Bathé Ndjoloko Tambwe, Director General of Disease Control (DGLM) of the Ministry of Health. To remedy this situation, “a reasonable financial contribution will be provided as motivation,” he stresses before indicating that other health workers from neighbouring health zones replace them during this period. At the same time, to ensure that everyone has access to care during this period of the epidemic, the Ministry of Health decided to provide free care to all patients attending health centres in the region. These positive advances are welcomed by other health officials in the region. “This will help us to provide not only the free patient care, but also with rapid detection of cases in our health facilities,” notes Musubao Tongo, a treating nurse who came from the nearby health zone of Oïcha with about fifty other colleagues to help out at the Mangina health centre. Built in 1976 and managed by the Diocese of Butembo, a neighbouring town of Beni, Mangina's reference health centre is among the largest in the area, with an installed capacity of 119 beds. According to the figures of this health unit, each month, around 250 to 300 patients are admitted and between 700 and 800 outpatients are taken care of. The Minister of Health and partners (WHO, UNICEF, MSF, ALIMA, etc.) immediately made an initial visit to the place of the outbreak on 2 August 2018 for a rapid assessment of this outbreak. Then dozens of experts, all humanitarian organizations combined, set foot on Mangina's soil to organize the response. The entire response mechanism has been put in place as a matter of urgency in order to ramp up and contain the disease. WHO has deployed its epidemiologists, logisticians, data managers, specialists in risk communication, social mobilization and community engagement, experts in infection prevention and control, etc., as well as a team of experts in the field of health care. Other partners have also provided experts in various fields to effectively support local teams in the Mabalako health zone, which includes the affected Mangina health area. “You see a small village like that, which was not so known before, and suddenly, it becomes famous and the whole world is interested in it. It gives us hope that the epidemic will be controlled quickly to allow us to go about our normal business,” said the nurse in a calm voice.